Of the Monsta Island Czars' many unique voices, Rodan's always stood out, so it's somewhat surprising that his solo discography consists of just one LP, one EP, one 12" and rarest of all, one mixtape. You'll find fans across the net asking each other about this release, but if anybody actually has it they're not telling. 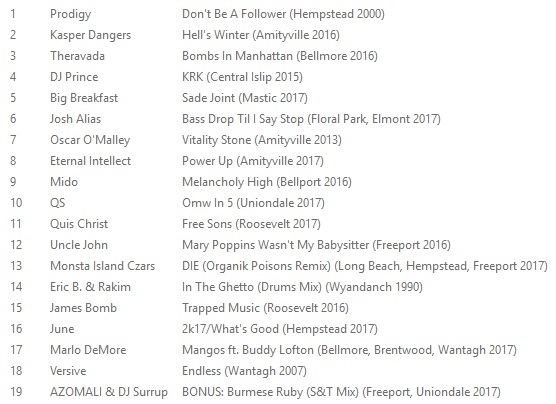 For now, all we have is a 20-song tracklist (below), a cover (at left), and a handful of songs that were posted in 2010 and 2012. With nothing more to go on, we've taken the liberty of zipping up the seven streaming songs that match titles from the tracklist*. Each of these was ripped from the RONOMICAL YouTube channel. 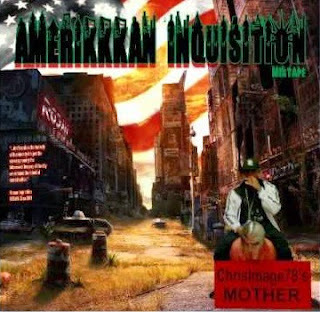 Stream a few cuts below and download seven-twentieths of the Amerikkkan Iniquisiton Mixtape here.